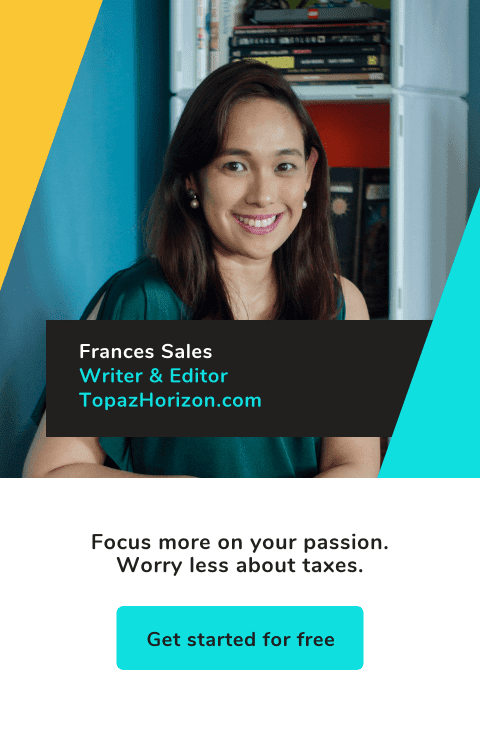 TOPAZ HORIZON: Need a washing machine? The Electrolux UltimateCare washer dryer is here! Need a washing machine? 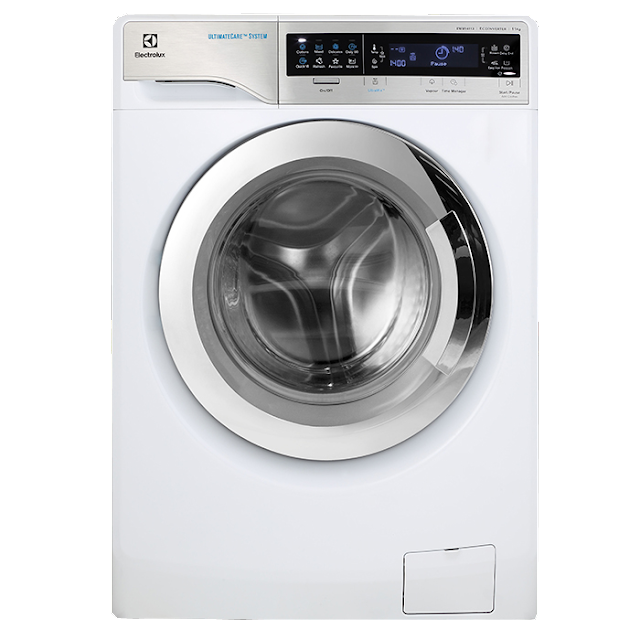 The Electrolux UltimateCare washer dryer is here! I've said it many times: Doing the laundry is my favorite chore! But it only became that way when I got an Electrolux washer dryer in 2015. Before then, I'd literally spend the whole day doing the laundry. Yep, that's one whole day. It starts with sorting the clothes, babad sa bleach, kuskos sa mantsa, then throw into the old top-loading washing machine. Because the old washer/spin dryer used so much water, yung una at pangalawang banlaw, I do by hand sa malaking planggana. Then the final rinse with fabric conditioner is sa washer ulit, then spin dry by batch kasi if you pack in it, it won't spin. So mga 2 to 3 batches yan. Then hindi pa masyadong tuyo so sampay pa after. Literally the whole day! But when the Electrolux TimeSaver came into my life, my time was truly saved and I got back my precious hours and my life changed. Yes, this is a love story! 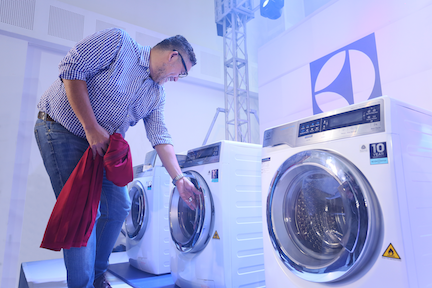 So when Electrolux invited me to the launch of their FashionCare Campaign recently, I just had to go kasi I want to support a brand I've believed in since I was a child. Plus, I wanted to spread the news so that my fellow mamas na hirap na hirap sa labada will be rescued from this chore! "When asked about what fabrics they were afraid to wash using their washing machine, 67% of the respondents say that they are afraid to machine wash their silk clothing, followed by delicate wear (52%), cashmere (40%), and wool (39%). "Among the top reasons why women hesitate to put their clothes in washing machines are more than half of them (58%) think it might ruin the clothes, while some think that machine wash can cause fabric shrinkage (17%) or fading of colours (4%). "When it comes to doing laundry, women worry about more than just cleaning. Fabric care remains one of the unfulfilled needs of women as 77% of them look for fabric care features when they buy washing machines, and among their top 3 laundry concerns are pilling (himulmol) of clothes, stubborn stains and misshaping of clothes – two of which are related to caring for the fabric." As an Electrolux washing machine owner, I'm here to say that I now never worry about my delicates, shrinking, color fading, and stains. It's not exaggeration to say that my washing machine washes my troubles away. In fact, confession time, I even get calm and relaxed when I watch my clothes spinning round and round. Talagang I love doing the laundry! 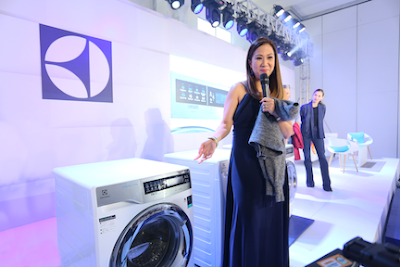 Three people who also love their Electrolux washing machine are Electrolux Philippines FashionCare Ambassador Rajo Laurel and FashionCare Council Members Amina Aranaz-Alunan and Janice Villanueva. They put the new UltimateCare™ washer dryer to the test when they threw in their designer dress, silk scarf, and wool jacket. While the machine did its work, the three ambassadors gave advice on how to care for clothes (for example: Put beaded and embroidered items in a pillowcase before putting in the washing machine). Amina Aranaz-Alunan: "I could keep using this over and over again thanks to Electrolux’s UltimateCare™ washer dryer which has features that care for delicate pieces and keeps them looking new and vibrant." Janice Villlanueva: "I used to hand wash wool sweaters like this one because I was afraid it would get stretched out of shape. So I’m excited that the Electrolux’s UltimateCare™ washer dryer can safely wash woollen items and make sure they look their best." Rajo Laurel: "I know that Electrolux understands how important our clothes are to us, and I’m grateful for it. 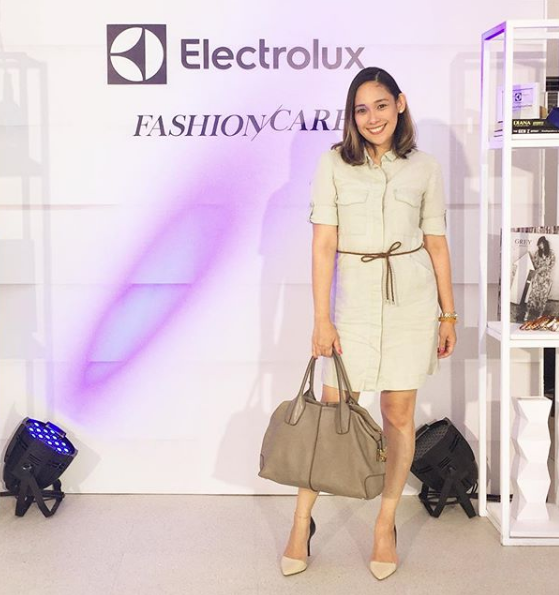 I feel safe knowing that my clothes are in good hands with Electrolux’s UltimateCare™ washing machines." 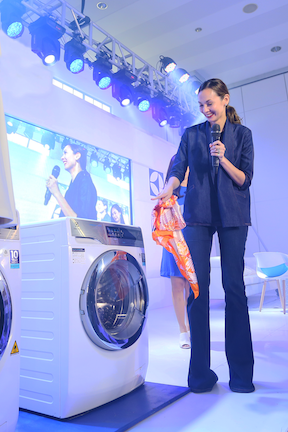 So, mamas, if hirap na hirap ka na sa labada at kailangan mo na ng washing machine who will not just clean and care for your clothes but also save you time and money, then you must check out the Electrolux UltimateCare™ washing machines that come with UltraMix™ technology. Whether your family's clothes are soft shirts and hardy denim to Sunday best and designer duds, they'll come out of the washer dryer still perfect! 1. The UltraMix™ technology gives women the results of a hot wash for better stain and dirt removal, yet uses a lower, gentler temperature. Detergent and water are pre-mixed in a special chamber before the beginning of the cycle to maximize cleaning power at a lower temperature. It delivers deeper clean and 31% better colour care, to ensure your favorites look newer for longer. 2. Besides the powerful yet gentle cleaning of UltraMix™, Electrolux UltimateCare™ washing machines extend the life of clothes with Vapour Action, designed to soften fabric while reducing allergens by up to 99.9% that’s gives women the assurance of better care for your clothes for years to come. The Woolmark certified cycle approved by the Woolmark Company, the global authority on wool, will safely launder these precious garments. 3. Electrolux UltimateCare™ washing machines also has Eco Inverter technology that offers high energy efficiency that reduces energy consumption by 75% and save time by 44%. Women can also enjoy the flexibility and convenience to toss in forgotten items during the washing cycle with add clothes feature. 4. 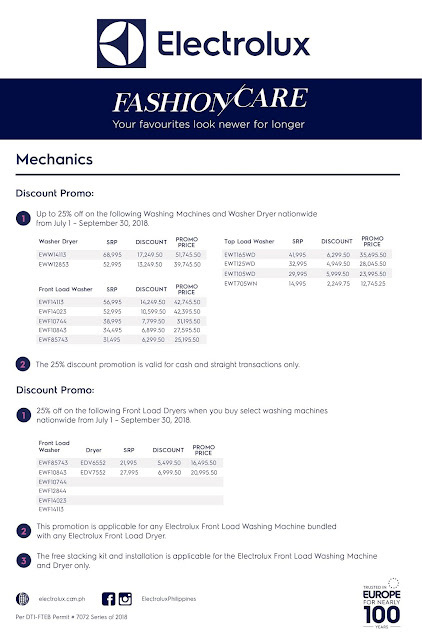 Because of the FashionCare campaign, Electrolux is offering several great deals on its washing machines, with offers up to 25% off on selected front load washing machines and washer- dryers. Women can also avail of selected Electrolux Front Load Washing Machines and get 25% off on an Electrolux Front Load Dryer. 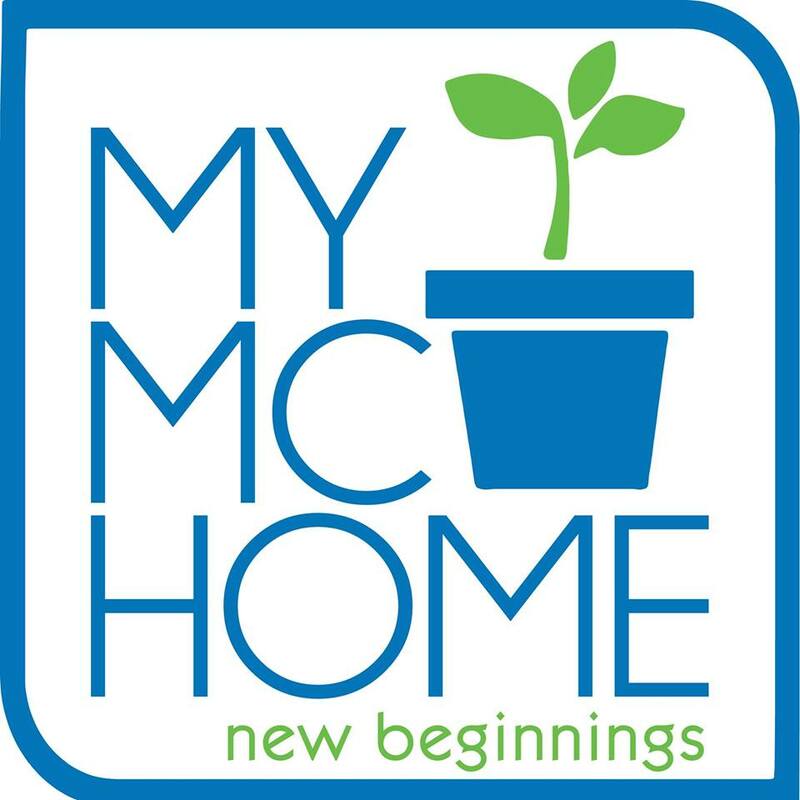 Also included is a free stacking kit and installation valued at PhP 3,049 with this fantastic bundle deal. Promo period runs from July 1 to September 30, 2018. Been wanting to buy a good quality and durable washing machine. Bakit ngayon ko lang to nakita na may mga promo prices pala :( sayang, makaka save sana ng malaki. I want this and need this.But still saving for this one. I hope may promo pa rin next time. Kung ganyan ang washing machine ko kahit everyday ako maglaba walang problema but for now tiis muna sa simpleng washing machine. Someday magkakaroon din ako ng automatic.